What’s more, the pace of technological advancement and regulatory change has become so rapid that Learning & Development (L&D) has become a continuous process just to keep up to date. It is in such a competitive and volatile environment that tools such as internal training and certifications are indispensable. The traditional model for new employees of having a brief orientation with a little on-the-job training just doesn’t cut it anymore. Skills need to be updated every year to keep an employee competitive and productive. Professional certifications such as an executive MBA, Project Management Certification, Risk Management etc can be costly and can’t readily be undertaken for each employee or too frequently. However, internal certifications are essentially the custom built and cheaper versions of such formal certifications and, if need be, can more than match them in complexity and thoroughness. The process of creating such training and certification programmes often starts with identifying the areas where a skills gap exists. The first and perhaps most important step in creating a viable internal qualification programme is zeroing in on what needs to be taught. The best way to do this is by first listing all the skills that a role/function requires. For example, a CXO role would need leadership skills, effective communication, strategic vision, direction setting, team building and so on. Whereas a technical role might instead require data analysis skills, regulatory knowledge etc. Once all the required skills have been listed, the next step is to assign all of them with certain weights based on the importance of each skill for that particular job function. For example, leadership might carry a much higher weight for a CEO but a proportionately smaller weight for a mid-level manager. The idea here is to identify areas that will impact job performance the most. Focusing on the areas with the highest weights would obviously provide the greatest benefit. Once all this is done, the company would have a clear idea of what skills each role needs and which of these skills are most important. Specific – The learning objectives should be clearly specified. For example, rather than just stating that the objective is to enhance compliance knowledge, the LO should state that the following five regulatory acts/guidelines are being targeted with this certification/ training programme. Having such specificity helps feed into the next attribute. Measurable – The only way to know if a training programme/certification is effective or not is by measuring its actual impact on the candidates. This is mostly done through tests, especially if the topics are technical in nature. It can be harder to measure something like leadership objectively, but it can be done subjectively through case studies, role-playing scenarios, and other such tools. Achievable/Aligned with goals – Achievability is concerned with the scope of the training. Ensuring that training is provided in bite-sized chunks can go a long way towards making it an achievable goal. Sometimes it might even help to have multiple levels of certification, each one increasingly in difficulty and to be completed as the employee gains seniority/ experience. Relevant – The LOs need to be aligned with corporate goals for that specific role or department. Some examples include – reducing risk, increasing profitability, enhancing customer service and so on. The relevance of the certification is what justifies the cost and effort of the whole endeavour and makes it worthwhile for the company. Time-bound – The certification or training programme needs to be long enough so that everyone can achieve their learning goals, but short enough to not impact business operations. Some programmes might be nothing more than a text document followed by an on-screen multiple-choice test lasting a few hours. While another might be an offsite, week-long programme with multiple instructors and activities followed by a final formal certification test. The choice really depends on the learning objectives and their complexity. The most critical part of the entire process, developing the actual training material, would probably require the help of an expert. This is not simply a matter of subject matter expertise (which is critical) but also of making the material engaging enough and collating it into a format that is best suitable for each learning objective. Different types of learning objectives will require unique and different approaches. Course designers would have a choice of print, PowerPoint, classroom training, audio-visual media, group discussions, role-playing, case studies and so on. The structure would depend on topic complexity, budget, time constraints, criticality of the learning objectives etc. For the certification to be formally awarded though, a final test of some sort is usually preferable. This again can take a variety of forms such as multiple-choice questions, case studies, evaluation by an expert etc. There are so many permutations and combinations of training material, training delivery, and evaluation, that it is usually best left to Learning and Development professionals. Sometimes, such material might even be available for purchase, but it may require some tweaks to make it fully relevant. Who gets to take the certification? Not all employees would be able to take the training and certification simultaneously. How to proceed here depends on the size of the organisation and budgetary concerns. Critical functions would obviously take precedence and most companies usually spread out the training programmes over the course of the year. The largest companies would likely have training programmes in place for almost every skill set, while others might choose to focus only on skill-sets which have the largest weights and the most critical skills gaps. Some companies prefer to make sure that all employees that can benefit from a training go through the relevant programme, while others may select individuals based on their skill set gaps. Both methods have advantages and disadvantages and the choice mostly boils down to resource availability. • Making the certification itself a valuable thing to have can go a long way towards making it attractive. Many global corporations have training programmes that are so well known, that they can actually add value to an employee’s resume when applying elsewhere. This is a unique advantage of having formal internal certifications. It’s all about creating a brand name which is associated with skill and quality. • Making sure that training and certifications are seen as a stepping stone to specific roles can also enhance their attractiveness. For example, someone wishing to move up the corporate ladder would be more than willing to improve their leadership, team building, and strategic decision-making skills. It can even work for cross-discipline moves – for example, a compliance officer wishing to move to a front-end role. However, in such cases, it is important to ensure that the training will add actual value to the company, based on the costs involved. • Finally, there are general strategies like awarding scores to make the certification competitive, having the training off-site to enhance engagement, announcing actual rewards to those who complete the training and so on. The possibilities here are endless and the final choice depends on a number of factors including budgetary constraints, the complexity of the topic and the number of people undertaking the training. 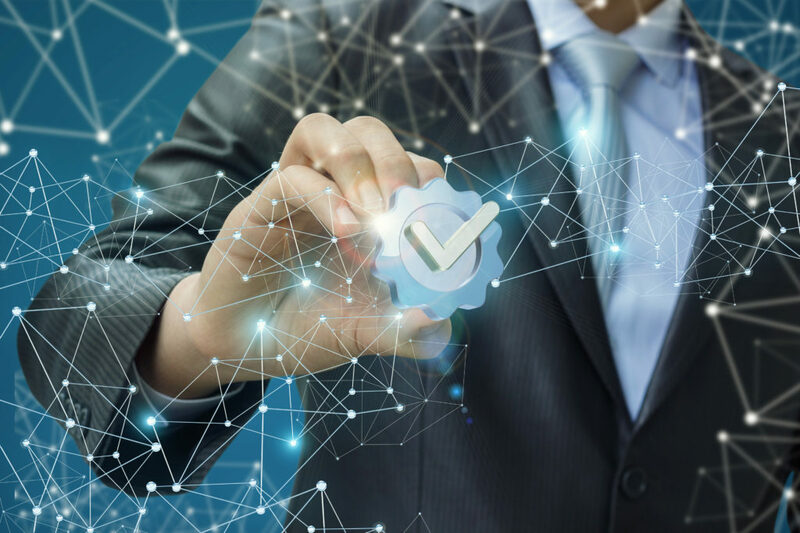 Internal certifications can be a wonderful tool to impart learning, address employee skills gaps, protect the business from risks and reward good employees. They might take some effort to set up, but in the long run, internal certifications offer a customisable and more relevant alternative to professional certifications, at a fraction of the cost. Our Renaix Guide to Finance, Skills, and Qualifications provides information on trends in the industry. Similar posts: The Internationalisation and Value of Finance Qualifications, The 9 Must-Have Skills for Finance Managers who want to secure that £80k+job, Careers in Finance – Future-Proofing.